Definition: Japanese encephalitis (JE) virus is the leading cause of vaccine-preventable encephalitis in Asia and the western Pacific. It is a virus in the flavivirus family. The Culex mosquito passes it on. 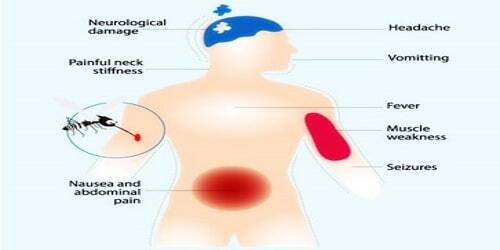 While most infections result in little or no symptoms, occasional inflammation of the brain occurs. In these cases, symptoms may include a headache, vomiting, fever, confusion, and seizures. This occurs about 5 to 15 days after infection. About 1 in 4 cases are fatal. There is no specific treatment for JE. Patient management focuses on supportive care and management of complications. Steps to prevent JE include using personal protective measures to prevent mosquito bites and vaccination. Japanese encephalitis virus (JEV) is a flavivirus related to dengue, yellow fever, and West Nile viruses, and is spread by mosquitoes. JEV is the main cause of viral encephalitis in many countries of Asia with an estimated 68 000 clinical cases every year. Although symptomatic Japanese encephalitis (JE) is rare, the case-fatality rate among those with encephalitis can be as high as 30%. Permanent neurologic or psychiatric sequelae can occur in 30%–50% of those with encephalitis. 24 countries in the WHO South-East Asia and Western Pacific regions have endemic JEV transmission, exposing more than 3 billion people to risks of infection. There is no cure for the disease. Treatment is focused on relieving severe clinical signs and supporting the patient to overcome the infection. Safe and effective vaccines are available to prevent JE. WHO recommends that JE vaccination is integrated into national immunization schedules in all areas where JE disease is recognized as a public health issue. The disease occurs in Southeast Asia and the Western Pacific. About 3 billion people live in areas where the disease occurs. About 68,000 symptomatic cases occur a year with about 17,000 deaths. Often cases occur in outbreaks. The disease was first described in 1871. Causes, Signs, and Symptoms: Japanese encephalitis (JE) is a disease caused by the mosquito-borne Japanese encephalitis virus (JEV). When mosquitoes infect an animal, the animal might become a carrier of the virus. When other mosquitos feed on these animals that have newly acquired the virus, they take it on board and infect other animals. The virus can infect horses and pigs, as well as humans. This can lead to encephalitis in horses and miscarriage in pigs. 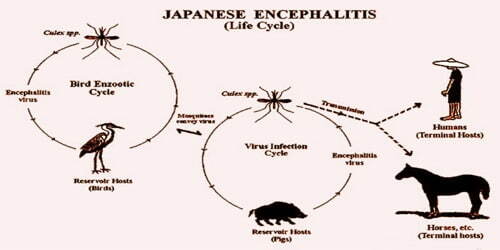 Japanese encephalitis virus JEV is the most important cause of viral encephalitis in Asia. It is a mosquito-borne flavivirus and belongs to the same genus as dengue, yellow fever, and West Nile viruses. The annual incidence of clinical disease varies both across and within endemic countries, ranging from <1 to >10 per 100 000 population or higher during outbreaks. A literature review estimates nearly 68 000 clinical cases of JE globally each year, with approximately 13 600 to 20 400 deaths. People are at the highest risk in rural areas where the virus is common. Japanese encephalitis is common around towns and cities. It is more likely to affect children because adults in areas where the virus is endemic generally become immune as they get older. The Japanese encephalitis virus (JEV) has an incubation period of 2 to 26 days. The vast majority of infections are asymptomatic: only 1 in 250 infections develop into encephalitis. A person with mild Japanese encephalitis might only develop a fever and a headache, but in more severe cases, more serious symptoms can develop quickly. The testicles can also swell. The virus appears to have originated from its ancestral virus in the mid-1500s in the Indonesia-Malaysia region and evolved there into five different genotypes and spread across Asia. The mean evolutionary rate has been estimated to be 4.35×10−4 (range: 3.4906×10−4 to 5.303×10−4) nucleotide substitutions per site per year. Diagnosis and Treatment: Japanese encephalitis is diagnosed by commercially available tests detecting JE virus-specific IgM antibodies in serum and /or cerebrospinal fluid, for example by IgM capture ELISA. To confirm JEV infection and to rule out other causes of encephalitis requires a laboratory testing of serum or, preferentially, cerebrospinal fluid. If a doctor suspects encephalitis, the patient will undergo tests, such as a CT or MRI scan of the brain. The physician might use a lumbar puncture or spinal tap to draw fluid from the spine. The results can show which virus is causing the encephalitis. Immunofluorescence tests can detect human antibodies. The antibodies show up after the doctor tags them with a fluorescent chemical. No specific treatments have been found to benefit patients with JE, but hospitalization for supportive care and close observation is generally required. Once a person has the disease, treatment can only relieve the symptoms. Antibiotics are not effective against viruses, and effective anti-viral drugs are available. A recent report of an Indian group demonstrates the involvement of monocyte and macrophage receptor CLEC5A in severe inflammatory response in Japanese Encephalitis infection of the brain. This transcriptomic study provides a hypothesis of neuroinflammation and a new lead in the development of appropriate therapeutic against Japanese encephalitis. Preventions of Japanese encephalitis: Safe and effective JE vaccines are available to prevent disease. WHO recommends having strong JE prevention and control activities, including JE immunization in all regions where the disease is a recognized public health priority, along with strengthening surveillance and reporting mechanisms. 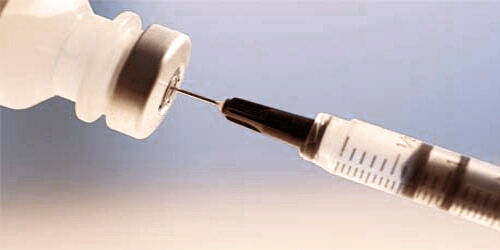 A doctor will give this vaccine as an injection over two doses. The second dose will occur 28 days after the first. An accelerated schedule is also possible, in which only 7 days pass between the two doses. The accelerated schedule is only safe and suitable for people between 18 and 65 years old. Be sure to complete either course at least 7 days before traveling to the prevalent region. There are 4 main types of JE vaccines currently in use: inactivated mouse brain-derived vaccines inactivated Vero cell-derived vaccines, live attenuated vaccines, and live recombinant vaccines. 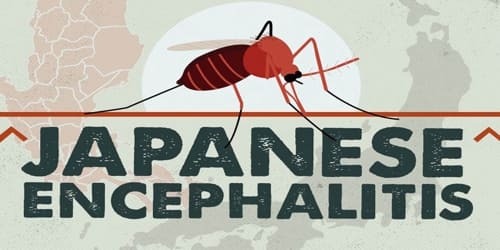 All travelers to Japanese encephalitis-endemic areas should take precautions to avoid mosquito bites to reduce the risk for JE. Personal preventive measures include the use of repellents, long-sleeved clothes, coils, and vaporizers.